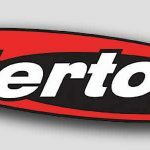 Intertops Poker has launched two promotions today targeting players in Australia – both of which could cost the US-facing online poker site a lot of money. Back in July, Intertops Poker ran an Aussie Poker Tournament Series with events specially timed to attract soon-to-be-exiled players from Australia. The Series was guaranteed for thousands of dollars and, as players could still access their PokerStars accounts at the time, failed to attract much interest – costing the US-facing poker site thousands of dollars in overlays. Now PokerStars has left the Australian market, Intertops is trying again – only this time the site is hosting both an Aussie Poker Tournament Series with $7,500 in guaranteed prize money and a qualification route to the opening event of the Aussie Millions in January. It could be very expensive once again for Intertops Poker, and very profitable for players who benefit from the promotions. The $7,500 guaranteed Aussie Poker Tournament Series gets underway this coming Saturday (September 30th) and then runs each Saturday and Sunday during October. 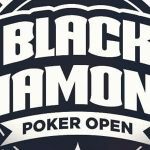 The series consists of one event each day of each weekend – a $5.50 buy-in tournament on Saturdays guaranteeing $500 in prize money, and an $11.00 buy-in tournament on Sundays guaranteeing $1,000 in prize money. The times of the events have been changed from the previous Series in order to make them more appealing to Australian players. 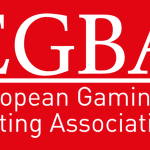 Rather than starting at 8:00pm AEST as they did in July and August, the poker tournaments will start at 4:30pm AEST. Although U.S. and European poker players are welcome to take part in the Series, the Australian starting times equate to 2:30am ET and 6:30am GMT! 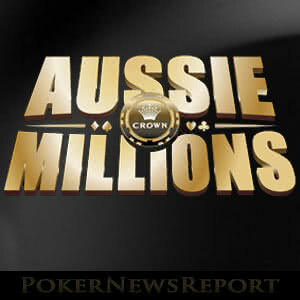 The AU$1,500 buy-in for the opening event of the Aussie Millions Series – a NL Hold´em tournament with a guaranteed prize pool of AU$1,000,000. Four night´s accommodation for two at the Quay West Suites in Melbourne, less than a mile away from the Crown Casino venue for the Aussie Millions. $500 towards travelling expenses, which will not get two people very far if they are travelling from the US or Europe, but should be enough to pay for flights from anywhere on Australia´s east coast. Players can start competing for the top prize at any level of the promotion. Step 1 buy-ins are $3.30, Step 2 buy-ins are $11.00 and the direct buy-in for the Final is $110.00. Intertops Poker will also be hosting a Last Chance Hyper-Turbo Satellite on the afternoon of the Final. The buy-in for this satellite is $1.10 and it guarantees a minimum of one seat in the target event. Despite PokerStars having withdrawn from the Australian market, and despite the revised starting times for the $7,500 guaranteed Tournament Series, there are undoubtedly going to be overlays. These will likely not be limited to the Saturday and Sunday AEST-timed tournaments, but also in the qualifiers for the Aussie Millions Satellite Final and possibly even the Final itself. If you would like to benefit from the two Intertops Poker promotions, head on over to the site today. New players using the Intertops Poker bonus code PNREPORT when making their first deposit will qualify for a 200% match bonus on the amount of their first deposit up to $1,000 and have access to one of the best player reward schemes available. To find out more about these opportunities, read our Intertops Poker review.